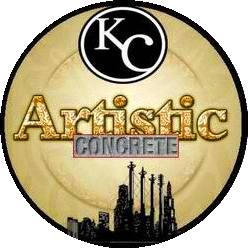 Our Kansas City industrial coatings are 100% solid epoxy in color, with a urethane coating that will match the existing base color. This will be finished with a clear urethane final coat. Epoxy floor coatings are commonly used for commercial and industrial flooring in the Kansas city area. Epoxy coatings are normally applied over concrete floors to provide a high-performance, smooth, and durable surface that can last many years and withstand heavy loads. Many industrial sites, warehouses, and commercial buildings rely on epoxy floors to maintain clean and safe conditions for workers, equipment, and inventory. An epoxy coating requires a clean and slightly porous surface to adhere properly. With one million feet applied in the Kansas City area, we understand Epoxy may not bond to sealed or polished concrete. The concrete also must be fully cured. Before the application of any epoxy floor coatings, it is important to patch and repair all major cracks and chips in the concrete surface and to remove all grease.